Halloween is a matter of days away, which means that Christmas will be here before we know it, and then it will be 2017. Is it me, or did this past year go by way too fast?! Although we’ve got a while yet, some of you may already be thinking about what your new year’s resolution will be. If there’s one resolution that I hear year after year, it’s to be better with money. As you probably know, this is often easier said than done! If you want to have a better hold on your personal finances, then here’s a few good habits you can get into now. First of all, try to keep your budget simple. We live in a world that’s obsessed with technology, and I’m sure this isn’t going to change when the new year rolls around! When our day to day lives are so centered around technology, it can be easy to go all-out on all the financial apps and tools you have available to you. While a lot of these tools can be very handy, they’re often a double-edged sword. When you’re dividing your personal finances into countless categories and subcategories, the whole issue can become over-complicated, and you may end up running yourself into all kinds of ruts. Go with a more minimalist approach, and you’ll find it so much easier to stick to your budget. Next, try to set yourself some passive spending barriers to ensure that you’re not going over what you can realistically afford. Here, I’m talking about getting into a few good financial habits which will help you establish various money-saving rules for yourself. One great routine is getting your monthly paycheque, then writing out a thirty-day list of all the things you want, and then going back over it with the “two items out for every item in” rule. If you’re used to going over budget and living with various luxuries, then sticking to this habit can be a little hard to begin with. However, gritting your teeth through it all will save you money, and develop the discipline it takes to say “no” to some of life’s luxuries. The next time you’re finding it hard to wave away something you want, think about something larger and more enjoyable that you could be saving up for. Next, max out your retirement savings. Again, this is one that’s easier said than done. Perhaps you would have done it already if your personal finances were in a better position. Still, the closer you can come to maxing out your 401(K) and your Roth IRA, the better off you’ll be in the long run. Whether this habit is realistic for your income or not, it’s important to start saving for it as early as you possibly can. Even putting away $30 a month will add up over time. This is even more important to do if your work runs a retirement scheme where they match the contributions you make. Neglect to take advantage of this, and you’ll essentially be turning down free money! Automating some of your transactions is another great way to make sure you’re being smarter with your money. This isn’t really a habit, true. However, it’s a great way to ensure your personal finances don’t become too chaotic. When you have many of your payments and savings made automatically, you’ll eliminate the risk of shooting yourself in the foot with impulsive spending habits. Furthermore, when you’re all set up with automatic payments and savings contributions, you’ll have a little more time to focus on other areas of your personal finances. When investments, bill payments and so on are already taken care of, the rest will be far easier to organize. Finally, get into the habit of looking at the big picture, and questioning every little transaction that you make. Before you finalize any purchase, take a moment to think about your long-term goals, and your personal values. If you bypass this, you can easily end up spending too much of your hard-earned money, or simply squandering it on all the wrong things. The more you do this, the more it becomes a knee-jerk reaction triggered by you touching your credit or debit cards. Soon enough, you’ll wean yourself off of impulsive, unnecessary purchases, and naturally invest more in your career and earning potential. I hope this guide eventually makes money less of a worry in your life. Take on just a few of these habits, and soon enough you’ll notice a considerable, positive difference to your personal finances. The little big one is enjoying the one week break from school. After having hectic schedule because of the five days school foundation and scout camping he is spending his time watching TV and playing on his phone. I am planning to have our mother and son bonding before he goes back to school. As for me, I thought I can take some rest after being busy because of the school foundation but I was wrong. My lola was brought to the hospital. I may not staying there overnight but I still feel exhausted going back and fourth running errands. In fact I am coughing as of this typing, that is after having an allergy for two days. The boyfriend is right, stress is making me sick. I shall take things easy to avoid being sick. When you’re operating a business venture from home, you might feel limited in what you can do. You probably won’t have the benefit of having a range of business contacts at first. You also won’t have a large office and workforce to help out. You’ll have to find ways to reach out to customers, clients, and peers from home. Luckily, there are many ways to expand your reach. Technology these days allows for easy communication both on a domestic and international level. You might be surprised at how much you can do with limited resources. Here are some ways mompreneurs can reach further when operating a home business. One of the most useful communi cation technologies to come out of recent times is VoIP. The term stands for Voice over Internet Protocol. Essentially, it means you can make worldwide phone and video calls with nothing but an internet connection. It’s helpful in many ways. You can take calls from any location using VoIP. You can also reach out to business partners, services, and mobile employees if you wish to do so. It’s worth looking into VoIP solutions for your work operations. VoIP software can be used from anywhere and reach anywhere. You can make international calls for cheap (and sometimes even free) using your computer and smartphone. It’s a useful way to expand your communications, even when working from a small space. Whether you’re offering freelance services or operating a home business, having a website can help. It can be used as a space to advertise what you’re offering and get people interested. You can also drive traffic towards your site which you can convert into customers or clients. Since it comes in handy in many ways, you’ll want to take full advantage of your professional site. Make sure you get web hosting with plenty of space and bandwidth. Some services make it easy to create a site for yourself, but you might want a professional web design service to help. You should also choose a domain name which is marketable and easy to remember. You can do many things through your website. You can set up shopping software for people to buy products or services from you. You can also handle customer service online. Implementing a blog is also fantastic for marketing and spreading news. It can sometimes feel difficult to get your name out there when you’re operating as a mompreneur. But there are many marketing methods which will help expand your reach and get you noticed by potential clientele. Many are easy to do yourself, making them ideal for mompreneurs. Search engine optimization is a good way to start. It’ll make your website more noticeable on Google and other website searches. Email marketing is another method which can help a lot. You should also use social media for marketing. Many people first become aware of businesses through sites like Twitter and Facebook. There are plenty of online marketing strategies you can do on a budget. If you want to up your marketing game, you may want to outsource the job to external services. Now that holiday season is just around the corner I am certain that most of us are starting to make a list on what to buy for our loved ones. No doubt buying gifts can be difficult especially if the gift recipient has everything. 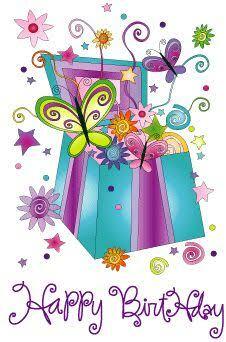 When buying gifts it is a must that the gift is usable for whoever get your present. For musically inclined people you may check seven corners shopping center, I am sure you will find something that you may want to have. The year seems to have been belting past at a ferocious rate, and once again we are on the verge of Christmas. The most wonderful season is coming again, as we prepare for snow, winter fun and all the wonders it can bring. We have family holidays to look forward to, huddling under the mistletoe, twinkling fairy lights and... the gifts. Now some of the gifts will be great. There will be gifts that we treasure, enjoy and come to love for years to come. They will be carefully selected just for us, or small novelty items that make us smile. And there's the joy of giving gifts as well; making someone happy, giving them something they want or need. It might not be the reason for Christmas, but gift-giving has become a big part of it. Well, it almost seems wrong to say it. Ungrateful, even - like we are admitting some horrible secret that we should be trying to keep to ourselves. But the truth is that some gifts... they are not good. Take a deep breath and acknowledge it, even though it feels like you're defying social convention. Some gifts don't make us happy. They make us plaster on an uncomfortable smile and thank someone with conviction, all the while wondering: "what do I do with that? We're going to try and explore the idea of what you can do with gifts that you don't want. It might take awhile to acknowledge something you have received has drifted into the Unwanted Gift territory, but it's got to be dealt with. There is no point trying to convince yourself you will find a way to love it, that it's not so bad - if it's not working for you, then do something about it. Of course, you don't need to tell the person who gave it to you. You can still be polite, show them a smile and make it clear how grateful you are. And there is still something in the idea that it's the thought that counts. With all of that said, however, the fact remains you are now in possession of something you don't want - so let's try and make it work. You might have heard of upcycling to do with antique furniture. You take something not in the best condition and give it a new lease of life. There's plenty of guides online for how to do this, and it's a particularly good idea if you've got a creative side. "But," you're currently thinking, "I don't have a piece of hidden-treasure style antique furniture. I've got a vase I hate!" Or whatever terrible gift you have been on the receiving end of. Let's stick with the idea of the vase for the moment. It's ugly; you don't want it in your home. But like many gifts, there is also the problem of the giver dropping by and wondering where it is. You can just throw it into a cupboard and not use it, but that doesn't solve the problem above. So you need to try and find a way to live with it. Fill it with colored glass pebbles or a candle to give it a second function and make it more attractive. Fairy lights with their own batteries can go inside and give a beautiful glow that disguises much of the vase itself. What can I add to it to make me like it more? Can I put something in it or hide it among other things? Can it be used for a purpose other than what it was intended for? It is better to try and find some use out of it than struggling to make something that you dislike work. Even if it's clothing, there are ways and means of customizing something so it is at least acceptable. And if you only bring it out when you expect the giver is going to see it, well, no one has to know. It might seem unpleasant, but you may be given a gift that you don't have a use for - but someone else does. Things like kitchen appliances fall into this category. To some people, they are useful and sought after, but they may not be for you. You might not bake much, or it might even be a duplicate of something that you already own. In that circumstance, it's best to give it away. You can explain its absence perhaps by saying it broke and you didn't want to disappoint the person who gave it to you by telling them that. You don't just have to give it away, either. You can sell it online or donate it to charity, depending on how you think it will be best serviced. Just make sure you know what you will say to the person who bought it for you if its absence is noticed. As for gift cards, they are often seen as the ultimate easy gift, but they have their own issues. For example, gift cards from a store that you don't like can be a nightmare. They also put financial pressure on, as usually, you would have to spend extra on top of the card to make it worthwhile. There are ways to sell the gift card on for cash - as a bonus, you can get discounts on gift cards that you do want. Then you can still make use of it. If you don't feel comfortable making a profit on a gift, then you can always give the money from a sale to a charity. Better yet, make it a charity that the person you received the gift from cares about. You can even tell them that you did it, and let them appreciate the gesture, if you know they are unlikely to take offense. Usually, regifting is seen as a bad thing. It's painted as a social sin, a big no no, something you should never do. The new recipient is someone that the original giver knows. This can create more problems than a bad gift is worth. The new recipient knows you received this gift. This can happen if you moan about the gift at Christmas, but forget you did so for their birthday in August. They will remember though when they see the gift you complained about in their stock of presents. You have been warned against it. Some people when giving gifts ask you to be honest, in which case saying you love it and then regifting is not a good option. Take them at their word and tell them about it. Your friend has given you a blender. You already have one, and you like the one you have; you see no need to replace it with the new one. Your Aunt, who lives over 100 miles away, has never met your friend. You know that they need a new blender. In this case, it would almost be silly to spend more money on a separate gift. You already have what they want; there's no risk of cross-communication - so you could go ahead and do it. Additionally, don't try to shoehorn a match where it doesn't fit. Don't try and convince yourself someone will love your unwanted gift, because you want to get it off your hands. Only regift if the item is genuinely something that you would have bought for the recipient anyway, not just to make your life easier. This could just be "throw it in the trash," but come on; it's 2016. You know better than that. If the item has parts that can be recycled (and many things do), then spend a while stripping it for parts and doing so. Clothes are perfect for this, and can either be donated directly or recycled for further use. For some items, it may be possible to make something you want out of them - this is upcycling on a grand scale. Jewelry is a prime contender here. A lot of jewelry can be melted down and made into something new, that you like. Gemstones - even cheap costume ones - can be salvaged for a proper use. So don't dismiss it to the back of your jewelry box and forget about it; see if it has something a professional can make use of. Bad gifts happen, but having to put up with them doesn't. Be creative, be cautious and always try to protect the feelings of the person who gave the gift. Enjoy the holidays guilt-free as a result. If your fancy yourself as an entrepreneur then it's important to realize that businesses don't just start themselves. They need decisive leadership and sound strategies to survive, let alone become successful. Read on for some big mistakes that as a small business owner you should avoid. While all the movies may tell you to never give up and follow your dreams, in business it pays to have your head out of the clouds and your feet on the ground. Just because you think you have a good idea for a product or service does not mean that other people will think so too. So, make sure you do your research before you jump headlong into your next project, to save wasting your time and money. It is important to be flexible when you are in the beginning stages of your business. For example, your original idea may not be received well, but can you tweak it to make it more appealing to a greater market? Or, if you take your business plan to the bank, but if they won't grant you a loan? Why not see if you can get a merchant cash advance instead to get your project up and running? Approaching your problems with flexibility can mean you don't stop before you've even started. Clear organization and leadership are essential in any small business. Whether you are working alone or with employees. Being organized gives others the impression that you are on top of things and that you have an overview of everything that is occurring. It is essential to have a well laid out plan to work to when beginning a small business venture. You need to know what service or product you will be offering. What the cost of this will be, and how you will fulfill these orders. In addition, you will need to know how many you expect to sell in the first 12 months and what profit you expect from these sales. This can really help you secure your funding and check that you are on target to build a successful and profitable company. Do not be easily discouraged When starting up your own small business venture, you have to be tenacious. You have to hang in there when things get tough. You need to be able to answer the tough question and demonstrate that you won't throw in the towel when the going gets rough. Starting your own business is never an easy option, make sure you have fortified yourself for the bad days before you even decide to go down this route. Of course in today's ecommerce economy, being a small business owner means making the best use of the technology that is available. If you are not tech savvy then your business is going to miss out, as you can market, retail and ship your product from home with the use of the internet. All this time I am thinking that month of March is the most celebrated month in the family because of birthdays. I figure that I am wrong after I noticed that some of my nieces, nephews and cousins even my brother are burn in October. With this I come up with an idea of celebrating everybodys birthday with a blast for a day. Imagine my maternal side of the family gathering all together to celebrate and have fun. No doubt its a blast! Hopefully, I can materialize this plan the soonest. If not this year since October is almost half way finish then perhaps next year. :-D keeping my fingers cross. Talking about birthday. My little big boy is turning 12 in three months. And as early as now he shared one on his request. 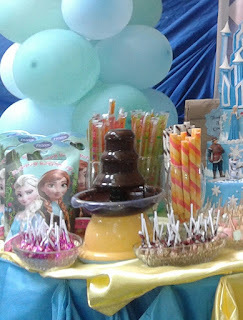 That is to have a chocolate fountain in his birthday. Honestly, I am surprised when he told me about his wish. In his age I am not expecting it because I dont think he will enjoy it. But then, kids is kids. No matter how big and tall he maybe he is still my baby. And mama will try her best to make his wish come true. Chocolate fountain in my niece 7th birthday celebration. Make sure the garden is secure and fully enclosed. This will prevent little ones wandering off and stop intruders getting in. Some companies, like Smoothline Fences, offer very private fencing solutions. You should also rail or fence in the pool and the dog’s play area. This will reduce the hazards for your child while they play. Ideally, you want to be able to feel comfortable letting them explore and play without you having to watch them constantly. Remove all plants that may be dangerous or harmful. Thorns and spikes can prove quite painful for a little one. It could be a good idea to control the plants in your garden by using raised bedding. Why not plant a little flower bed together? This teaches valuable skills and your children will love tending to the flowers with water. Older children might relish the opportunity to grow some fruit and vegetables. Don’t worry if you don’t have much space. Many plants and veggies can be grown in containers and raised beds. Every child loves a little play house. You may not have much space, or even the budget to buy one. But any den will do. Kids have a great imagination and can turn a hanging sheet into the best clubhouse ever. It gives them a chance to practice acting like grownups, as well as a little privacy and independence. If you have space for active toys like swingsets and slides, your kids will love them. Bicycles, skateboards, and scooters can all be ideal for the backyard too. Have a little area of hard standing for wheeled toys. Ball games can be problematic in a backyard. The ball might hit the fence or go over. This can annoy the neighbors. Choose something like a basketball with a hoop attached to the side of the house. There is less chance this will end up somewhere it shouldn’t if the kids are just shooting hoops. Foam balls can be quite handy for keeping the noise down too. Do you have space for a ball pool? This is loads of fun for the children to dive in and wallow. Some of the best activities for children involve you. Your garden is the ideal space to get involved with your kids’ favorite games and hobbies. Plant some flowers, kick a ball, or even enjoy a water squirter challenge. It will help keep all of you active, and it’s great fun for you all too. Try some of these ideas to make the most of your outdoor space, however big it is. Pests, rodents, and a multitude of other unwanted creatures are a plague on homeowners everywhere. This can be a more significant problem in southwest Florida, where warm temperatures year-round foster a greater number of these pests. In the north, residents are relieved of much of this problem, particularly with insects, as the colder temperatures eliminate flies, mosquitoes, bees, and other annoying flying and crawling things until the spring. Not so much in Florida, where warm, moist temperatures promote breeding on a year-round basis. Homeowners and businesses in the Naples area have to concern themselves with pest and rodent problems daily, with ants, spiders, termites, fleas, roaches, silverfish, and rodents, among many others, causing continued problems and aggravation. For residents in this area that may try resources to deal with these pests on their own, and are losing the battle, it would be in their best interests to call for some help. Professional extermination services will be necessary, and a call to a Naples exterminator is in order. There are a number of exterminator companies out there, big multi-national firms that make claims they are the "do-all" solution. But really, how much do they know about your specific region in particular if their major focus is in trying to 'corner the market' in every county and state across the country? Local residents would best be served by a company with longstanding local ties, who takes a very in-depth, sustainable approach to pest control while implementing processes that are environmentally safe, particularly around children and pets. Arrow Environmental Services is one terrific example of the right company that fits all this criteria. The company the resident should look for will serve over 100 communities in west central and southwest Florida, having done so for several decades, thereby knowing precisely what pest problems are prevalent in the area, and how to best eradicate all pest and rodent problems. This company will have highly trained and educated personnel, who, through ongoing training, stay on the cutting edge of systems and solutions that work best in any given pest or rodent situation. Working from outside, where the pests come from, to the home's interior, they will diagnose what concerns the homeowner has in each situation, and get right on to taking care of business, making the residence pest and rodent free once again. Guest post: All information is not mine. What do you usually do when you get bored? Of course, there are lots of ways to get rid of boredom. Listening to your favorite music is one of the best way. It is proven and tested by yourams trully. Hehehe.. There are times that I wish I can play a guitar. Does taylor 614ce ring a bell? It's an acoustic guitar that I wish we have. I will definately love hearing the sounds of it. I almost forgot that I still have undone tasks to do. Good thing I remember about it before I lost them in my dashboard. Now that I seldom get blessings online I should grab whatever comes my way, more so that I need to renew two of my domain before the year ends. Apart from not doing the task I also need to login to my self hosted blogs for updates. I always forget updating my two other blogs. Well, its not that I always forget about my other blogs. It is also because I am slacking and procrastinating. How I wish I can turn back the time wherein blogging is an easy task to do. Those times when updating was easy as 1,2,3. If you are in the process of setting up a business, then one of the first things to consider is setting up a website. You will have seen elsewhere on this blog why it is that this is important. There are many distinct advantages to a business having a website, and it is difficult to list them all. If anything, we are now at a point where having a website is not just a good idea, but absolutely essential. No matter what your business operates in, having a website is what sets you apart from those who are just playing around. But how can you make sure that your website is doing everything that it should be doing? In this article, we will take a look at some of the key ways to make sure that your business’ website really does what it is meant to. Read on to find out what those might be. First of all, you need to design your website and design it well. To get this right, you should make sure that you know exactly what you want from your site, as well as how to achieve it. You might decide that you need some help designing your site. That’s fine. However, it is best ultimately if the final design is down to you personally. This will make it a much more simple process and it will means that you can be sure of its quality. If necessary, spend a decent amount of time perfecting the design before going any further. That way, you can be sure that it is exactly what you want. We have seen that the initial design works best if it is completed alone. However, it is very unlikely that you will want to look after the website once it is set up. Doing so will take up a lot of time, so it is probably best to get some help here. This is where outsourcing comes into play. If you outsource your web maintenance, it means that you can free up a lot of time for yourself. That way, you can spend more time focusing on other areas of the business which need your attention. When you outsource, remember to take into consideration the TUPE guidelines. Also be sure to spend some time shopping around before you make a final decision. One of the primary reasons that your business needs a website is to keep the brand going strong. A good website keeps people coming back for more, so this is what you should be aiming for. The best way to ensure that your site does have a good return rate is to keep it updated. Frequent updates are the hallmark of a website which is likely to succeed. Above all, make sure that these updates are interesting and likely to be shareable. That way, it is much more likely that even more people will come to your site. And that ultimately means more custom for your business.